The preparation for this past weekend began, as always, with my friends and I sitting around in our dorm’s living room trying to figure out what place we should visit next. 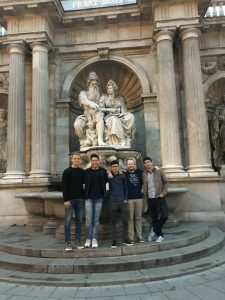 None of my friends are American, so it can be difficult to find a destination sometimes as they’ve already been to most of the places in Europe. After a few hours of discussion, the choice was made to go to Montenegro. It was a country that no one had been too before, and one that I probably couldn’t find on a map. We all liked the idea of being able to discover a country that many tourists had never been too before, and the 85-degree weather combined with some beaches was a nice little bonus. While buying our plane tickets for the trip, one of my friends noticed that there was an option to have a 15- hour layover in Vienna, Austria on the way back from Montenegro. The layover would give us about half a day and a night in Vienna, and we would not come back to Switzerland until Tuesday morning at 8am instead of Monday. It meant that the weekend would consist of me being in a country I knew nothing about for a weekend, then spending a few hours trying to figure out an entire new big city, and finally attempting to make it to my Tuesday class at 9am. 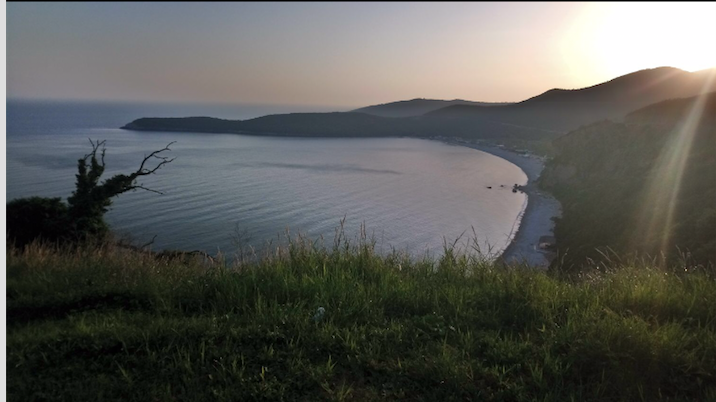 On top of that, we were going to have to rent a car in Montenegro because our hotel was decently far away from the closest town, and that town wasn’t very close to any other towns. With all of those different and somewhat daunting factors considered, I took an extremely long two minutes and said yes to the trip. Fortunately, that quick, maybe a little too quick, choice ended up being a great one. For the duration of the entire trip, I truly felt and loved the authenticity and natural beauty of Montenegro. 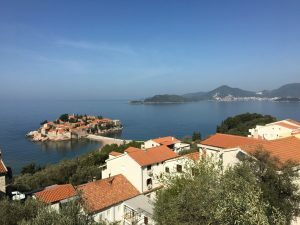 The drive from the airport to our hotel apartment 10 minutes outside of Budva, a small beach town of 14,000 people, was filled with mountains and valleys that gave a glimpse of everything I would soon discover. When we got to our apartment, which was on a dirt road, we were immediately greeted by a local family that ran the building. They let us play with their dog for a while and then gave us all of their recommendations for Montenegro. It was all a far cry from the distant interactions you normally get at any place that you stay at. While the people made me feel comfortable and at home, the view from our room was something that I had never experienced before. Right in front of us was the beautiful Montenegro landscape that I never got tired of over the next few days. The first day, Friday, we didn’t arrive until about 5pm, so we just spent most of our time venturing around Budva and the nearby area. The old town featured small streets and an interesting history, while the city center was filled with stores. Although both of those were fun to explore, they weren’t anything that we couldn’t find in any other European town. Quickly, we realized that we needed to focus our trip on everything that makes Montenegro unique, instead of what it shares with the rest of Europe and the world. 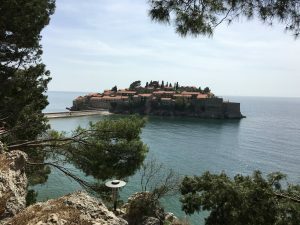 Therefore, Saturday we went to look at Sveti Stefan, a small island right off the coast in Budva in the Adriatic Sea. The island looks like something from a fairy tale, as it is basically just a tiny and beautiful village in the water. We walked around the area for an hour and constantly looked at the island from every angle possible. 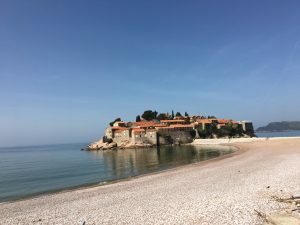 When it was time to decide what beach to relax at for the day in Budva, which has about 30 beaches, we chose the one right next to Sveti Stefan. Not only did we get to enjoy the amazing weather and gaze at the island the entire day, there were only two or three other people on the beach the whole time that we were there. It was a stark contrast to the beaches in Barcelona, which were crowded with people and constantly filled with noise. I felt like I had my own private beach and it was a day of complete bliss. I would love to always lay on the beach all day like we did Saturday, but Sunday was our last full day in Montenegro and it was time to do some adventuring and see more of the country. After some complex research (a single Google search), we decided to drive to Kotor for the day. Except for knowing that it’s one of the top places that comes up when you search places to visit in Montenegro, we had zero knowledge of the city. Our plan involved driving over there early in the morning and then seeing what catches our eyes. 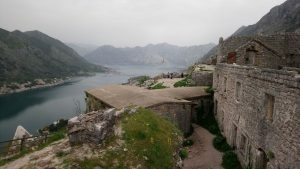 While the main attraction for Budva was the beautiful beaches and the island of Sveti Stefan, the highlight for Kotor was the bay that is located on and all the cliffs and mountains it is surrounded by. About a quarter way up one of the mountains we noticed that there was an old fortress that people could hike up too. Without a second of hesitation, we started our walk up to the fortress. The hike took about an hour to complete and most of the time was spent trying not to slip and fall along the rocky path. It was also about 80 degrees that day, and by the time we got to the fortress all of us were pretty tired and sweaty. 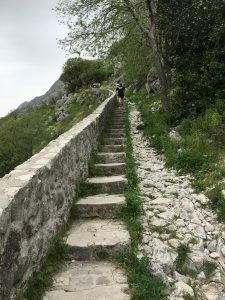 Thinking I had finished my exercise for the day, I strolled around the fortress and took in the sights of Kotor. Then, almost out of nowhere, a local man came up to us and asked us where we were from. 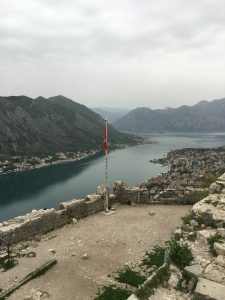 There weren’t many people at the fortress, and he seemed genuinely curious as to why a group of 20 year olds decided to spend their weekends hiking up to a fortress in Montenegro. He told us all about the history of the fortress and why it is important to the country. At the end of the conversation, he pointed us towards another hiking path that lead up to the top of an entire mountain. The path was one continuous stone covered zig-zag that looked like it was from the Medieval times. It was only about 11am at that point, and in our typical fashion we thought about it for a few seconds and gave the second hike a try. While the first one was a somewhat hard hour long hike, this one took about 3 hours and was at a steep angle the whole time. In addition, the path was extremely narrow and the rocks felt like they were bruising my feet with each step. It wasn’t the most fun experience going up, but the view from the top was worth every single painful step. Being on top of that mountain with a view of the remarkable bay and town of Kotor was one of the most surreal moments of my life. With zero intention of doing so, we ended up hiking nearly the whole day. We got back down to Kotor around 4pm. 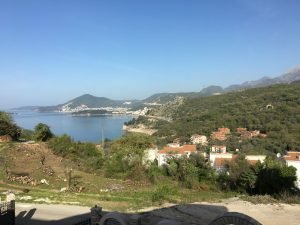 We were all extremely tired, so started to drive back to Budva and relax for the rest of day. However, about halfway along our drive we saw a sign for Tivat, another town that popped up on our Google search. 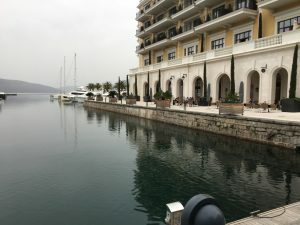 The choice was almost instantly made to check out Tivat, even though all of us had just completed the longest walks of our life. When we got to the Tivat, out of nowhere it felt like we had entered a different world. Yachts and fancy designer stores were everywhere and if someone told me I was in Dubai I would believe them. 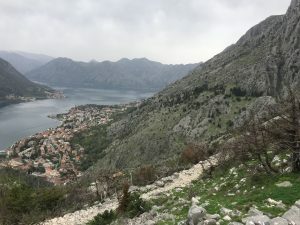 There weren’t any options for adventures, like in Kotor, but it was intriguing to see the drastic contrast from Tivat to the rest of the country. The next day, Monday, it was time to leave Montenegro and embark on another journey in Vienna. However, after all of the success we had in our time in Montenegro, it was only a matter of time until some things went wrong. Our flight got delayed a few hours and we didn’t land in Vienna until about 4pm. Then, our hotel for the night was in a completely different part of the city than we thought it was in. When booking the trip we thought we would have a lot of time to explore the city, but in reality we got to the city center at about 7pm. Also, our flight the next day was at 6am, so we had to wake up at 4am the next day to make it on time. Things weren’t going the way that we planned them too, but from 7pm till about 1am we made sure that we got the most out of being in Vienna. 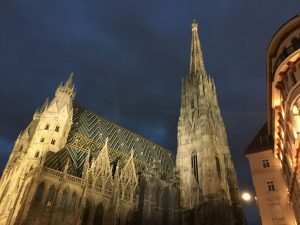 In those 5 or so hours, we walked around almost the whole city and saw every single significant monument, building, or landmark that there was in Vienna. My personal favorite was the St.Stephen’s Cathedral, which was stunning from the outside and even more so inside. We also had the opportunity to go to the top of the Cathedral, where we were rewarded with a magnificent view of the whole city. Along with the Cathedral, I really enjoyed the atmosphere of Austria and Vienna. It hit me from the moment I got on the plane to Vienna, as the Austrian Airlines plays classical music before the plane takes off. From there, every single corner in Vienna has a historical monument, a statue, or an ode to Mozart. Being in Montenegro may have improved my physical fitness, but my IQ probably went up just from being in Vienna for a couple of hours. Even though I was exhausted from discovering and hiking around Montenegro, seeing as much of Vienna as possible, and only getting 3 hours of sleep Monday night, I still made it on time to my 9am class Tuesday morning. It wasn’t until I woke up from my much needed nap after that class that I realized how amazing the weekend I just had was. 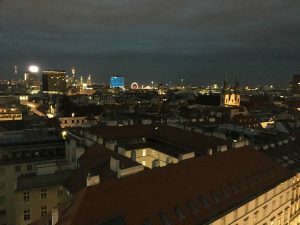 I had the chance to see and experience a country that most people haven’t and then see much of Vienna, all while spending time with amazing friends. Now its time to relax a little bit more in Switzerland and wait to see where my future adventures take me.